Zoom Travel Insurance is a specialist provider of domestic and international travel insurance offering cover for various types of trips and activities. The table below displays a snapshot of Zoom’s travel insurance policies on Canstar’s database, sorted by Star Rating (highest to lowest). Please note the products and Star Ratings displayed are based on a couple travelling to France aged 18 to 59. Check upfront with your insurer and read the PDS to confirm whether you will be covered for your chosen activities, and whether the policy as a whole meets your needs. 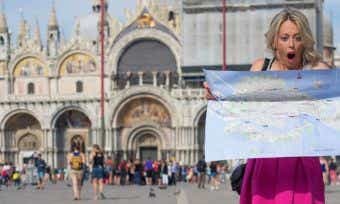 What types of travel insurance does Zoom Travel Insurance offer? Medical only: A basic plan that only covers medical costs and personal liability while travelling. Standard: Slightly more comprehensive than the medical only plan and also includes hospital cash allowance, cancellation fees and lost deposits, luggage and personal effects, and travel documents and transaction cards cover. Comprehensive: The highest level of cover and the most comprehensive, this policy will cover you for all inclusions Zoom offer, but is likely to be more expensive than the other options. Zoom says this is its most popular policy. 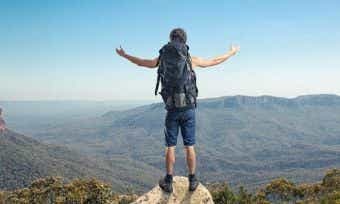 What does Zoom domestic travel insurance cover? Zoom’s domestic travel insurance policy will cover you for additional expenses, accidental death, cancellations, luggage and personal effects, personal liability, rental vehicle insurance excess, and certain sports and recreational activities. Please note that exclusions may apply. For more details about what is and isn’t covered, read the Product Disclosure Statement (PDS) on Zoom’s website. What does Zoom international travel insurance cover? At the time of writing, all of Zoom’s travel insurance policies feature unlimited 24/7 emergency assistance services, unlimited overseas emergency medical expenses including $500 dental expenses per person, and personal liability cover. Please note that exclusions may apply. For example, on international policies your medical cover will not cover any hospital, medical costs or expenses incurred in Australia. For more details about what is and isn’t covered, read the PDS on Zoom’s website. Does Zoom travel insurance have overseas hospital cover? Yes, Zoom Travel Insurance Medical Only, Standard and Comprehensive international travel insurance policies have unlimited cover for overseas emergency medical and hospital expenses. On its Standard and Comprehensive policies, Zoom includes a hospital cash allowance where it pays $50 for each day you are in hospital if you’re hospitalised for more than 48 continuous hours while you’re overseas. Various conditions and exclusions will apply. For more information, read Zoom’s PDS. Does Zoom travel insurance cover lost, stolen or damaged luggage? Yes, Zoom Travel Insurance will cover you up to a certain amount for repairing or replacing luggage and personal effects which are stolen or accidentally damaged or permanently lost during your journey. Under Zoom’s Standard, Comprehensive and Domestic policies, up to $7,500 worth of your belongings will be covered. When calculating the amount payable Zoom will apply depreciation due to age, wear and tear. Zoom says it has the option to repair or replace the luggage and personal effects instead of paying you. Limits apply for certain items such as laptops, phones and tablets. Conditions and exclusions will apply. For example, you must report the loss, theft or misplacement within 24 hours to the police or where you were when the loss, theft or misplacement occurred. Does Zoom travel insurance cover cancellation fees? Yes, Zoom’s Standard, Comprehensive and Domestic travel insurance policies will cover you up to a certain amount for cancellation fees and lost deposits for pre-paid travel and accommodation arrangements if your journey is cancelled or shortened due to unexpected and unintended circumstances out of your control. Zoom’s Standard travel insurance policy covers you for $25,000 while its Comprehensive and Domestic policies offer unlimited coverage. Read the PDS for more information. How do you take out travel insurance from Zoom Travel Insurance? You can purchase a Zoom travel insurance policy by first comparing your options with Canstar and then generating a quote online. You can also apply directly on Zoom’s website or over the phone. How do you lodge a claim with Zoom Travel Insurance? You can lodge a claim with Zoom Travel Insurance online. Zoom Travel Insurance says you can claim either while you’re still on your trip or within 30 days of your return to Australia. If you need help, you can call or email the Zoom claims team. Zoom Travel Insurance is a specialist travel insurance company based in Sydney. 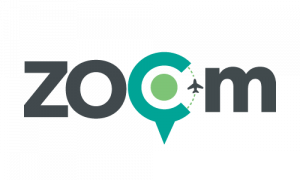 Zoom says its founders have been selling travel insurance products for 18 years. Zoom’s policies are underwritten by Lloyds of London, which is the world’s largest insurance market. Travel insurance exclusions - what aren't you covered for?